As Bill Gates faces a lawsuit for the illegal testing of tribal children in India, it appears that his crimes against humanity have finally caught up with him. A recent report published by Health Impact News has reported that the Gates Foundation has found itself facing a pending lawsuit, due to an investigation that is being carried out by the Supreme Courts of India. The Health Impact News article centered largely on a four-page report that was recently published by Economic Times India . Eager to know more, I investigated their story and discovered that the World Health Organization, the Gates Foundation and two organizations funded by them, PATH (Program for Appropriate Technology in Health) and GAVI (Global Alliance for Vaccines and Immunization), have found themselves under fire, after a writ of petition originally submitted to the Supreme Court of India, by Kalpana Mehta, Nalini Bhanot and Dr. Rukmini Rao in 2012, was finally heard by the courts. The Economic Times India published their report August 2014. They stated that in 2009, tests had been carried out on 16,000 tribal school children in Andhra Pradesh, India, using the human papiloma virus (HPV) vaccine, Gardasil. According to the report written by KP Narayana Kumar, within a month of receiving the vaccine, many of the children fell ill and by 2010, five of them had died. A further two children were reported to have died in Vadodara, Gujarat, where an estimated 14,000 tribal children were vaccinated with another brand of the HPV vaccine, Cervarix, manufactured by GlaxoSmitheKline (GSK). Shockingly, the report stated that many of the consent forms used to vaccinate the girls were signed “illegally,” either by the wardens from the hostels where many of the girls resided, or using thumbprints from illiterate parents. This travesty was not discovered until a team of health activists from the non-government organization SAMA, an organization specializing in women’s health, decided to investigate what had been going on. The Sama report also said there had been cases of early onset of menstruation following the vaccination, heavy bleeding and severe menstrual cramps among many students. The standing committee pulled up the relevant state governments for the shoddy investigation into these deaths. It said it was disturbed to find that ‘all the seven deaths were summarily dismissed as unrelated to vaccinations without in-depth investigations …’ the speculative causes were suicides, accidental drowning in well (why not suicide? ), malaria, viral infections, subarachnoid hemorrhage (without autopsy) etc. This information is even more shocking when you discover that the organization funding the study was none other than the Bill and Melinda Gates Foundation, who declared the project a total success. Absolutely, and this is not the first time that these organizations have been caught illegally testing vaccines in developing countries. In December 2012, in the small village of Gouro, Chad, Africa, situated on the edge of the Sahara Desert, five hundred children were locked into their school, threatened that if they did not agree to being force-vaccinated with a meningitis A vaccine, they would receive no further education. These children were vaccinated without their parents’ knowledge. 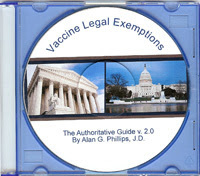 This vaccine was an unlicensed product still going through the third and fourth phases of testing. Within hours, one hundred and six children began to suffer from headaches, vomiting, severe uncontrollable convulsions and paralysis. The children’s wait for a doctor began. They had to wait one full week for a doctor to arrive while the team of vaccinators proceeded to vaccinate others in the village. When the doctor finally came, he could do nothing for the children. The team of vaccinators, upon seeing what had happened, fled the village in fear. The original report written in a small, local newspaper called La Voix , the only newspaper to have published the original story, stated that forty children were finally transferred to a hospital in Faya and later taken by plane to two hospitals in N’Djamena, the capital city of Chad. However, if this were true, why would their government award each family £1000 in what has been described as hush money? The only mainstream news channel to have highlighted the plight of these poor children was a local channel called Tchad, which filmed footage of the then-Prime Minister of Chad visiting the children in hospital. 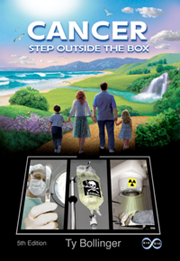 VacTruth has copies of both reports, along with medical and government documents. The groups involved with this project were PATH, WHO, UNICEF, and the Gates Foundation. During investigations, it was discovered that the whole project was being run by the Bill and Melinda Gates Foundation. MenAfriVac is a tremendous success story for the global health community. It is the first vaccine developed specifically for Africa, and it proves that global partnerships can develop and deliver high-quality, low-cost vaccines.Ten years ago, we invested in the Meningitis Vaccine Project, an innovative model that brought together PATH, the World Health Organization, African health ministers and the Serum Institute of India today, we celebrate the result: a modern vaccine selling for less than US 50 cents per dose with the potential to end Africa’s deadly meningitis epidemics. ISLAMABAD: A government inquiry has found that polio vaccines for infants funded by the Global Alliance for Vaccination and Immunisation are causing deaths and disabilities in regional countries including Pakistan.The startling revelation is part of an inquiry report prepared by the Prime Minister’s Inspection Commission (PMIC) on the working of the Expanded Programme on Immunisation (EPI). The PMIC, headed by Malik Amjad Noon, has recommended that Prime Minister Yousaf Raza Gilani immediately suspend the administration of all types of vaccines funded by the GAVI. According to the Express Tribune , the main vaccinations in question were the polio vaccine and the 5-in-1 pentavelent vaccine, which were said to be responsible for the deaths and disability of a number of children in Pakistan, India, Sri Lanka, Bhutan and Japan. The vaccines were funded by the Global Alliance for Vaccination and Immunization (GAVI) an organization financed by the Bill and Melinda Gates Children’s Vaccine Program, the International Federation of Pharmaceutical Manufacturers Association, the Rockefeller Foundation, the United Nations Children’s Fund (UNICEF), the World Health Organization (WHO) and the World Bank. 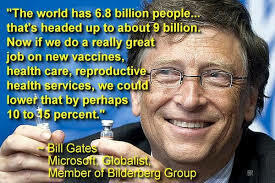 If this is true, then once again the Gates Foundation has been linked to mass vaccination initiatives using untested, unsafe vaccinations. In 2012, Ramesh Shankar Mumbai, an author writing for the Pharmabiz website, reported that two medical experts from India had accused the Gates Foundation and WHO of being unethical. In his report, Mumbai stated that Dr. Neetu Vashisht and Dr. Jacob Puliyel of the Department of Pediatrics at St. Stephens Hospital in Delhi, wrote the following information in their report in the April issue of Indian Journal of Medical Ethics . It was unethical for WHO and Bill Gates to flog this program when they knew 10 years back that it was never to succeed. Getting poor countries to expend their scarce resources on an impossible dream over the last 10 years was unethical. Another major ethical issue raised by the campaign is the failure to thoroughly investigate the increase in the incidence of non-polio acute flaccid paralysis (NPAFP) in areas where many doses of vaccine were used. NPAFP is clinically indistinguishable from polio paralysis but twice as deadly. The corruption and deceit by these organizations does not stop there. So, what was the name of the organization that investigated GAVI and found them using untested polio vaccinations in Pakistan? In a recent radio show hosted by Sallie O. Elkordy, Susanne Posel gave her frank and honest views on the whole sorry mess that we find ourselves in today. 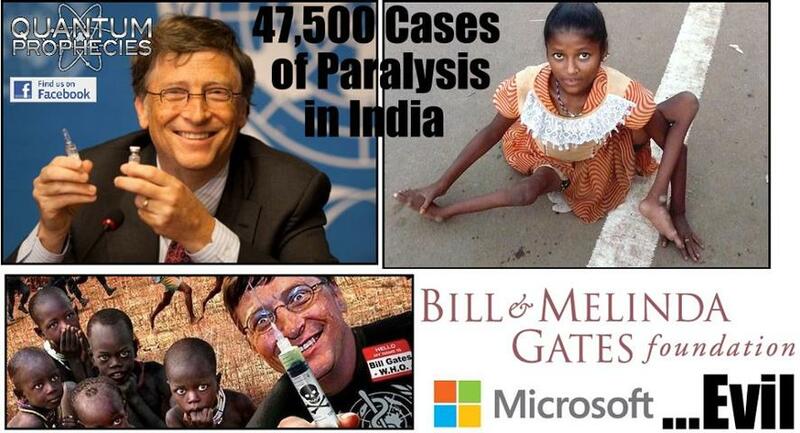 It is difficult to believe that, despite the mounting evidence outlining the many crimes against humanity that have been committed by the Gates Foundation, GAVI, UNICEF and PATH, Bill Gates is portrayed as a hero among many. 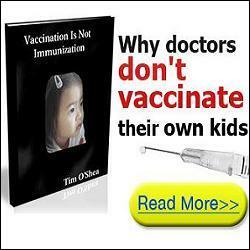 The dictionary I used said nothing about vaccinating innocent, vulnerable children with untested and unsafe vaccinations, causing them to suffer agonizing, untimely deaths. Christina was born and educated in London, U.K. She left school to work in a children’s library, specializing in story telling and book buying. In 1978 Christina changed her career path to dedicate her time to caring for the elderly and was awarded the title of Care Giver of the Year for her work with the elderly in 1980. In1990 she adopted the first of two disabled boys, both with challenging behavior, complex disabilities and medical needs. In 1999 she was accused of Munchausen by Proxy after many failed attempts to get the boys’ complex needs met. Finally, she was cleared of all accusations after the independent psychologist Lisa Blakemore-Brown gave both boys the diagnosis of Autism Spectrum Disorder and ADHD as part of what she described to be a complex tapestry of disorders. During the assessments Ms Blakemore-Brown discovered through the foster care diaries that the eldest boy had reacted adversely to the MMR vaccine. After taking an A Level in Psychology and a BTEC in Learning Disabilities Ms. England spent many years researching vaccines and adverse reactions. She went on to gain a Higher National Diploma in journalism and media and currently writes for the American Chronicle, the Weekly Blitz, VacTruth, where this article first appeared, and Namaste Publishing UK on immunization safety and efficacy whilst continuing to study for a BA Honors degree in English Literature and Humanities. England’s main areas of expertise are researching false allegations of child abuse and adverse reactions to vaccines. Her work is read internationally and has been translated into many languages. Ms England has been a guest on many radio shows and has spoken at seminars worldwide. She is the co author to the book ‘Shaken Baby Syndrome or Vaccine Induced Encephalitis – Are Parents Being Falsely Accused?’ with Dr Harold Buttram.